Located on a nice street, quiet at night. About a short walk away from centre of town. Very clean, fantastic staff. From the start, they answered my email prior to arrival. Francesco was very nice and helpful. All staff was great, great location, clean hotel, well equipped for cooking meals, across from Tram and not too far from the train. They allowed a late check out. The staff is very nice and educated, the apartment was nice and spacious and clean. Rooms are very well designed. Very space efficient. Clean, modern design. Lots of shelves to place things on and charge electronics. Environmentally friendly too with the key card needed to activate the lights in the room. Great clean room with very modern decor and super spacious. 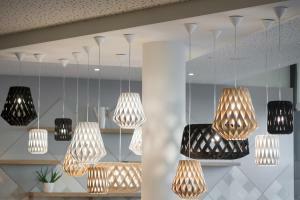 Location, view , underground parking and the free maker coffee and Internet computer in lobby. 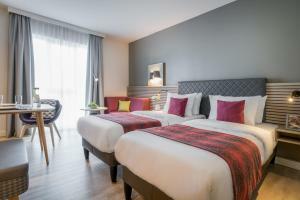 Lock in a great price for Citadines Arnulfpark Munich – rated 8.4 by recent guests! Citadines Arnulfpark Munich This rating is a reflection of how the property compares to the industry standard when it comes to price, facilities and services available. It's based on a self-evaluation by the property. Use this rating to help choose your stay! 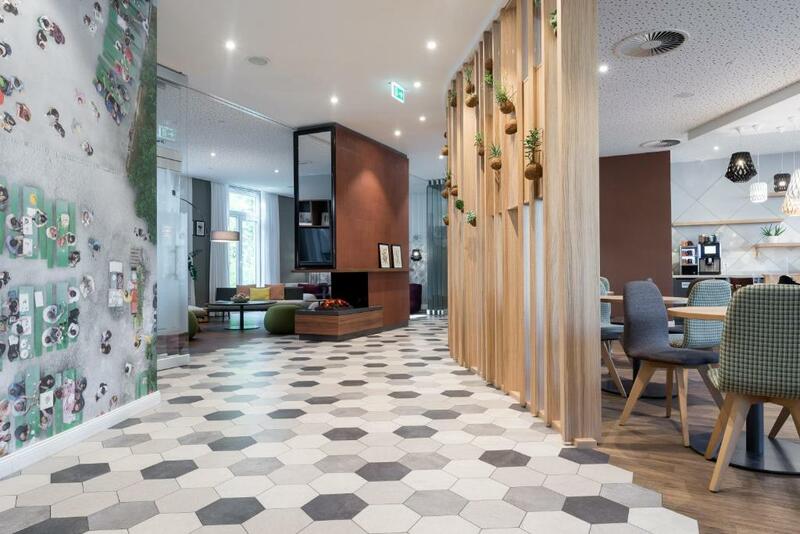 Right next to Marsstrasse tram stop, this hotel in Munich's Arnulfpark district has easy access to public transportation to the center of the city. Modern studios and apartments all feature full kitchens. 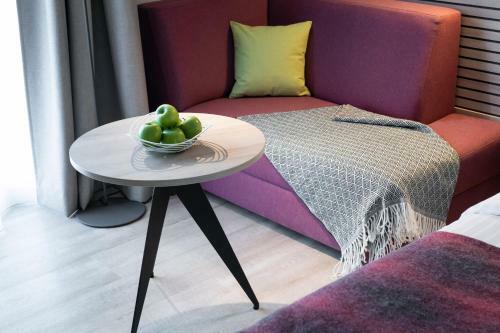 Each spacious, stylish apartment includes free high-speed internet and a TV with cable and satellite channels, DVD player and an iPod docking station. Some feature separate living and sleeping areas. A dishwasher, microwave and fridge are among the facilities available in the modern kitchen. Hot drinks facilities are also featured. The Donnersbergerbrücke S-Bahn Train Station is a 6-minute walk away, providing connections to Munich Central Train Station and Munich’s Old Town in just 4 minutes. A continental breakfast is served each morning at the Arnulfpark. Several restaurants and cafes are within walking distance of the property. 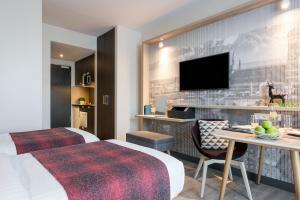 When would you like to stay at Citadines Arnulfpark Munich? This studio has a DVD player, iPod dock and kitchenware. This apartment features a microwave, soundproofing and dishwasher. Citadines Arnulfpark Munich is an Apart´Hotel. A modern and comfortable living space, complete with a separate kitchen, TV with satellite channels, and free Wi-Fi… our serviced Apart Hotel is fully- equipped. 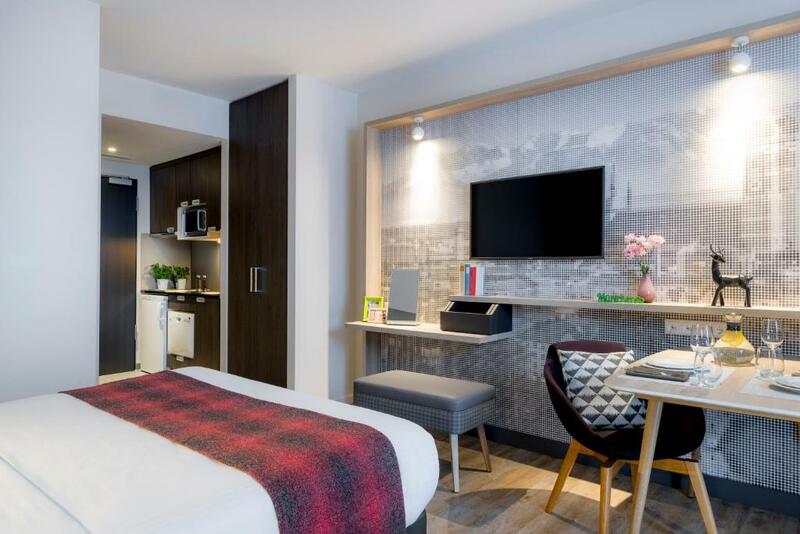 Choose the package that suits you for your trip, whether for business or pleasure – from a studio for one or two people to 2 or 3-room serviced apartments that can sleep between four and six. Customise your stay in our serviced apartments with à la carte services such as housekeeping on demand, breakfast or babysitting service. 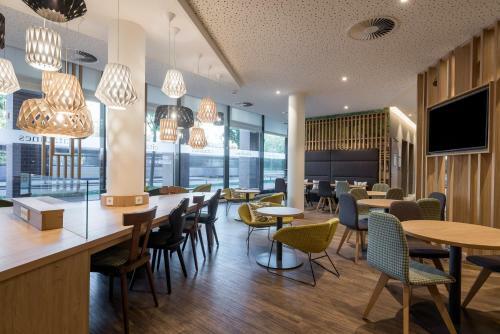 Situated to the west of Munich, the serviced Apart Hotel is in an ideal location in the new district of Arnulfpark, a few minutes from the main train station and the historical centre. Ample public transport links – you’re just one minute from the nearest direct tram stop to the city centre – mean that you’re just a 15 minute-ride away from the Marienplatz. Comfortable and spacious, our reception is open 24 hours a day. Our staff are available to assist you with any questions you may have. For those coming by car, our serviced apartments offer a private car park (charges apply and reservation needed). People come from all the world to take part in the city’s Beer festival – Oktoberfest – one of the symbols of Bavarian hospitality. It takes place every year from late September to early October on the large square of the Theresienwiese. The city is bursting with architectural treasures: the Frauenkirche cathedral (“Our Lady”) clothed in red brick, and the New Town Hall (Neues Rathaus), the pride of the bourgeoisie in the early 20th century, whose Neo-Gothic splendour gloriously dominates the Marienplatz style. The “Glockenspiel”, its carillon, is one of the most famous in the world. In terms of culture, the Alte Pinakothek, Neue Pinakothek and the Pinakothek der Modern are among some of the most noteworthy museums. Area Info – This neighborhood is a great choice for travelers interested in museums, beer and architecture – Check location Great location - show map Guests loved walking around the neighborhood! 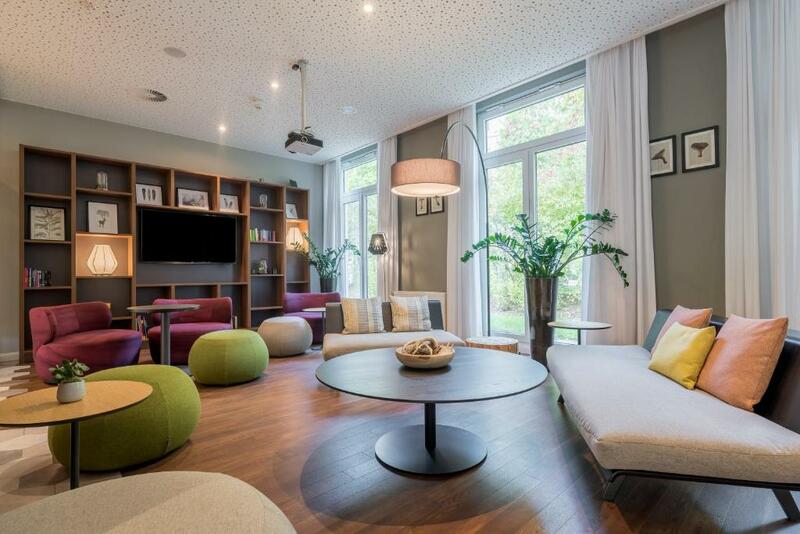 House Rules Citadines Arnulfpark Munich takes special requests – add in the next step! Citadines Arnulfpark Munich accepts these cards and reserves the right to temporarily hold an amount prior to arrival. Please note that the height of the car park is 5.9 feet. Tram 16,17ivery well for guest. Everything is well. We like it. They supply four pots and knife, spoon...manythings can satify your cooking. Very good. Size of the toilet after renovation is too small . Elevator was not working for almost 4 hours and no action has been taken to fix it . Will charge for any addtional servise but never pay you back for any services that you shall get it in the correct way . There was a delay on the check in. The room and bathroom was dirty, also the towels . No duvet on sofa bed and only a single provided when we reported it. Short on milk. Very clean , up to date and we'll equipped. Helpful staff. Comfy beds,and good linen. No room service - no clean towels replaced and had to use our towels to clean the bathroom floor as the design of the shower meant water went everywhere. Bed linen wasn’t clean, lipstick marks on the bedding. No hand soap in the bathroom. Woken up both mornings by hoovering before 8am. Location is great and good value for money. Desk and kitchen in the room is a nice feature. Clean and modern Very friendly staff, professional approach. The aircondition was a bit smelling (and the windows could not be opened at all), the fridge made noise (but found how to switch it off), a chair in the room was broken. Location is great, staff in friendly, bed was comfortable. The utensils weren’t clean in the kitchenette. Citadines is known for cleanliness.....! May be this particular was an exception.